A hell of a lot of people wouldn’t even dream of taking kids to a music festival. But why? With festivals becoming ever more family friendly, offering everything from dedicated kid’s areas with organised activities to cinema tents with family friendly screenings, there has never been a better time to introduce your little ones to the joys of a summer British music festival. So, if you’re dreaming of sunny days, lying happily on picnic blankets in vast fields, cool beer or cider in hand, while your kids dance around you to the sounds emanating from the main stage, but you’re worried about camping, the weather, the notorious toilets or keeping them safe and happy in such a busy outdoor environment, read on. We’ll guide you through everything you need to consider when taking kids to a music festival. That way you can focus on making your family festival trip the best weekend of the year by a mile! In this, the first of the series on taking kids to a music festival, we look at how to select the perfect festival for you and your family and what to look our for. Firstly, if you’re taking kids to a music festival, you’ve got to select your festival carefully. Before you even think about booking your tickets look around a range of festival websites. 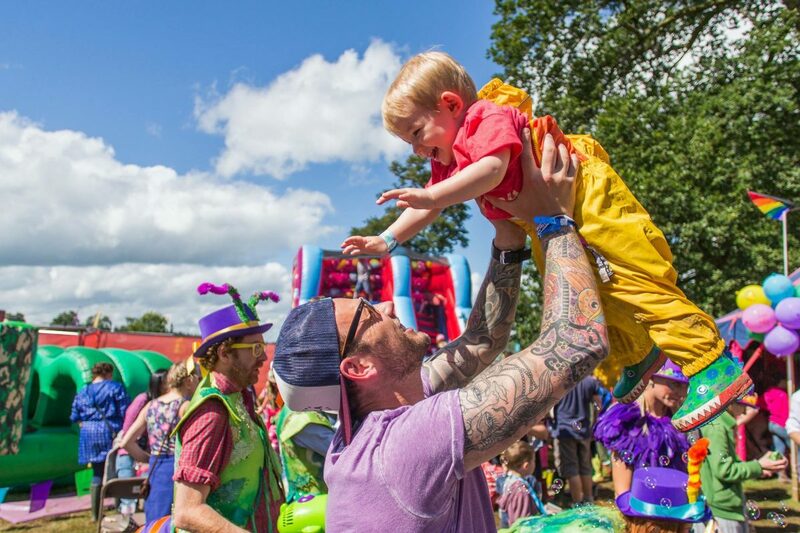 At the bottom of this article we’ve started a list of some of the most family friendly music festivals out there with links directly to their kids pages so you can see for yourself what is on offer. Although all music festivals have a lot in common each and every festival is unique and this shouldn’t be forgotten. What is right for one family will not be right for another, so do your homework. Obviously, most families will be drawn by the musical lineup and whether it caters to their tastes, but there are still a whole raft of things to consider. Check to see if they have a dedicated kids area on site. These vary from festival to festival but you can expect a safe a secure area dedicated to families with a range of features and activities. The best ones have bell tents, yurts and marquee tents to offer protection from both the sun and the rain (come on, it rains at least once at every festival!) during those long days outside. Inside each of the tents they have a different range of activities to keep young children happy. Some will be craft focused, getting your critters to glitter and shape paper until their heart’s content, while others offer Duplo perfect for toddlers and competitive construction dads. In the larger marquee tents they often have kid’s disco and fancy dress competitions organised by the onsite staff and volunteers. Some festivals will have your favourite CBeebies presenters on hand over the course of the weekend to say hello and whip your critters up into a playful frenzy with daft games and competitions. On top of this they will have the obligatory bouncy castles and soft play areas if they still haven’t burned off enough energy for your liking. Another nice touch by festivals hoping to leave a positive impression on families is that during some of the discos or organised games they offer free drinks to kids to help keep them hydrated and help keep your costs down. Finally, the children’s zones also often have their own dedicated toilets and baby changing facilities all within a secure and fenced off area, meaning that families aren’t forced to share portaloo facilities with the 18 year old who had too many beer bongs and a hefty curry last night! Some even have bottle warming stations so look our for those on each of the festival websites if you’re planning on taking a baby. The next thing you’ll need to do before you book is check out what else, beyond the kids zone, the festival has to keep all of the family happy over the course of the three or four days you are there for. Remember, entertained kids are also happy and tired kids. As I said earlier, modern festivals have come a long way. A lot now have giant cinema tents so have a look on their website or social media pages what they plan to screen. Family friendly sites will often screen kids films from fairly early in the morning until about late afternoon, before the more adult films are shown. For instance, the festival that we’re attending in the next few weeks is screening Toy Story, Aladdin, Shrek, The Goonies, The Lion King and Alice in Wonderland to name just a few. As well as cinema tents, festivals will have kids entertainment springing all over the site throughout the day. Usually there will be a central notice board to tell you what’s going on and when. So from trying to break the world record for building the world’s largest cardboard box fort, to musical jam sessions which introduce kids to a range of instruments, keep your eyes peeled for their next fun-filled adventure. Circus tents are also on the rise and they will often have specific times when children can attend to learn some basic circus skills such as juggling or riding a unicycle. Magicians also make regular appearances at a lot of music festivals with none other than Dynamo Magician Impossible performing at the Kidz Field at Glastonbury this year! Some festivals also advertise things like breakfast clubs. These generally take place in one of the many eateries onsite and are open only to families for a period of about two or three hours before they open to the rest of the general public. This means that families who have kids who wake early have somewhere to take them and feed them should they want to get up and out of the tent. These breakfast clubs usually offer covered seating protecting you from the early morning elements and have healthy, nutritious breakfast options at very affordable prices. On top of that, some of the breakfast clubs run activities such as kids yoga to help your critters mentally prepare for the epic day of fun ahead of them, which gives you that all important ten minutes to savour that first morning brew accompanied by a rare bit of peace and quiet. Keeping kids clean is a major test at any festival so something else to look for on their websites is whether they have shower facilities. Most do these days but you’ll be queuing for an age to get one at anytime during the morning so a good bet is to take the kids during the much quieter afternoon or early evening. An alternative is to find out on the website whether your chosen festival offers shower upgrade wristbands. These can be purchased in advance of the festival and are a God send if you’re taking kids to a music festival. The queues are far smaller and the showers are proper cubicles (albeit on the back of a lorry trailer) and resemble the sort of facility you’d get in most public swimming pools. The toilets in these upgraded sections are also proper flushing toilets, not portaloos and they have proper sinks to brush your teeth etc. There are even hair and make-up rooms with hair dryers, mirrors and GHD straighteners (yes, you heard me right) for mum and daughters (ok and vain Dads too) to perfect the days festival look. One last thing that you’ll want to decide upon before you book it the size of the festival you want to attend. From major festivals the size of cities like Glastonbury to much smaller, intimate festivals like Shambala, there are advantages and disadvantage to both. Large festivals obviously have a lot more going on and a lot more choice when it comes to things like entertainment, music, food and drink. But they are also huge places. So, if you’re taking kids to a music festival you need to assess their age and the size of the environment you’ll be in. If your little ones are very young you’ll probably be pulling them in a festival wagon or carrying them in a carrier or sling. Consequently, you may want to opt for something a bit smaller unless you’re happy to stay for quite a while in one place, realising that you probably won’t get to see everything that the festival has to offer in just three days. It is very much a personal choice. The Kidz Field at Glastonbury, for instance, is truly awe inspiring. But if you plan to balance it out and keep the adults happy in your group you may spend a bit of time either walking between places or missing things you wanted to see. At the moment we are opting for the happy medium of medium sized festivals. Once you’ve selected your ideal festival check when you are allowed to camp from on their website. This may seem straightforward but some festivals offer you the chance to arrive a whole day early for a nominal extra fee. The vast majority of the bands and music at Kendal Calling, for instance, begin on the Friday but you have the option to pay a little extra for a Thursday ticket. If you’re taking kids to a music festival this means you get to arrive before literally thousands of other people. As well as avoiding the biggest arrival crowds and queues, you can also be sure of your pick of the camping spots. You’ll still want to set off as early as you possibly can because even with early entry you’ll be one of many trying to secure that perfect spot. 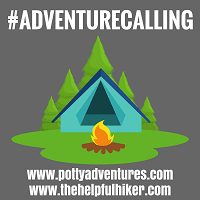 This is particularly important if you’re planning on camping with a group of friends or other members of your family as you’ll want to make sure that you can all position your tents right next to each other to create your own little community. Finally, if you’re taking kids to a music festival, check whether your chosen festival has a dedicated family campsite. Most these days do, so you’ll be positioned well away from the younger, more raucous festival goers and their beer bongs in a field of your own with like minded families and children. Until then, and if this article has made you yearn for a summer festival date of your own, take a look at just a small selection of family friendly music festivals that could find their way into your diary very soon. Enjoy. Valuable piece ! I Appreciate the points ! Does someone know if my assistant can find a sample CA ADOPT-215 example to use ? It’s great isn’t it. I’m glad you enjoyed Elderflower Fields this year that’s a lovely festival. With a bit of forward they don’t have to be as scary as some people think they are. We love going with our two. Thanks for reading. Ah Elderflower Fields is a lovely festival I’m glad you enjoyed it. You’re right being laid back and going with the flow is certainly the best attitude to have. Thanks for reading. Ah so glad you read it thank you. There are more and more families at major festivals every year and to give them their due the festivals have really responded – they get better and better every year. Thanks again for reading. We haven’t been to Feastival but know a few people who have and they love it. Really glad you had a good time there. Thanks for reading. Great link up again, thanks for reading. Haha. No problem great link up again. Thanks for reading. Ah thanks for reading. Yeah it’s amazing how much festivals have changed in recent years. It is a great experience isn’t it! Thanks for reading. Yeah you should definitely go to Glastonbury it’s simply amazing! Thanks so much for your comments mate 👍🏼. Thanks for reading. I’m glad you had a good family day recently at a festival they’re so much fun aren’t they! You should definitely give latitude a look it’s a great festival! Wow a European festival would be amazing. If you do go please let me know which one as this is something we’d love to do as a family too so it’d be great your point of view and tips. Sign me up for the latest news, reviews and giveaways!